2018 was a big year for Party Hard Travel in Ibiza, with the destination being our joint most popular resort along with Malia! 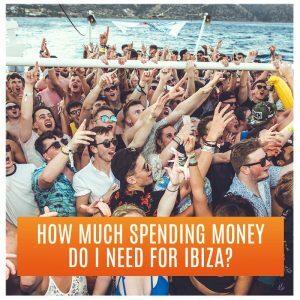 For 2019 we are looking to pull out all the stops and offer the most sought after Ibiza events tickets, all at an amazing, unbeatable price. This year we are offering the Essential Events Package FREE when you book your 2019 clubbing holiday to Ibiza with Party Hard, so let the non-stop Ibiza party begin! Plus, for an EVEN BIGGER selection of events you can upgrade to our Ultimate and Platinum Events Packages too! 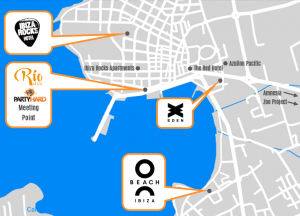 The Ibiza Ultimate Events Package is finally here! 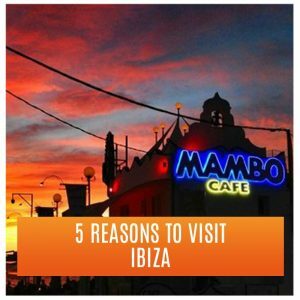 With all the events you could possibly imagine, we got everything from Super Club Nights, to the biggest Ibiza Pool Party, to the legendary Zoo Project! 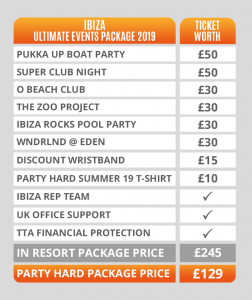 The Ibiza Ultimate Events Package is available to purchase separately, or as a discounted upgrade for those of you who booked your Party Hard Ibiza Holiday through us! Going in a group of 6 or more? Click here to check out our exclusive offers via Messenger. 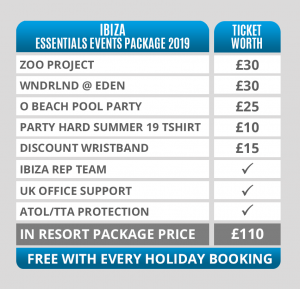 If you’ve already booked your Ibiza Party Hard Holiday for 2019, you get the Essential Events Package included for free with your booking! Perfect if you’re only going for a few days, or just fancy a handful of events for your trip! Stay up to date with all the latest Ibiza news for your 2019 Summer holiday here! Never miss an update with Ibiza Latest News.